On some level, a lot of Will Ferrell movies are just based on giving him a weird job and seeing what happens. He’s been a NASCAR driver, a cop, a news anchor, a Mexican ranch hand, and a helicopter leasing agent, but now he has signed on for his wildest movie job yet: a competitive gamer. Okay, so that’s not extremely wild. But the fact that Ferrell is a middle-aged dude and not a teenage YouTube sensation makes it unusual at least. 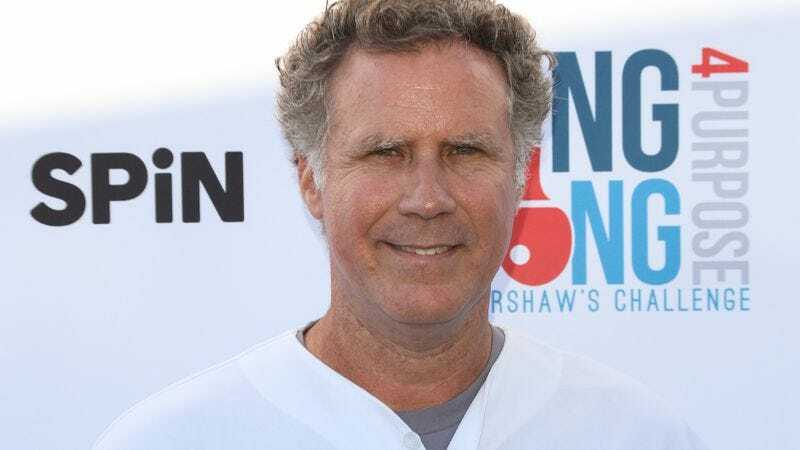 This comes from The Hollywood Reporter, which says that Ferrell will star in a yet-untitled movie as an older guy with “exceptional hand-eye coordination” who enters the eSports scene and becomes “an anomaly among his younger teammates.” The THR story says a pair of real-life eSports teams—Evil Geniuses and Fnatic, both of which sound exactly like what you’d expect from eSports team names—might appear in the film as well.